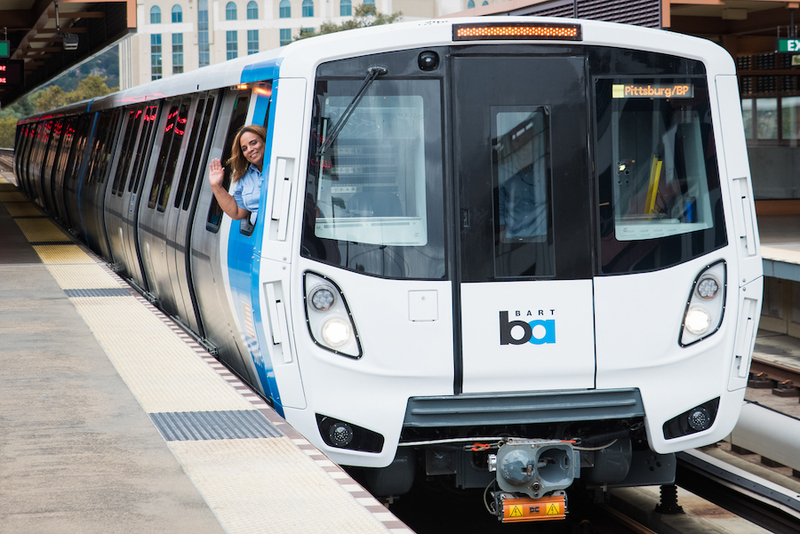 OAKLAND, Calif. (CN) — Even trains are spying on us now, a woman claims in a federal class action accusing the Bay Area Rapid Transit District of tracking passengers’ movements by duping them into downloading a seemingly benign crime-reporting app. Pamela Moreno claimed Monday that BART collects personal information from riders’ cellphones and tracks their location through its BART Watch app, without consent. Moreno also sued Elerts Corp., a Massachusetts software company that developed the app. The 26-page lawsuit compares the app, which lets users anonymously report crime to BART police, to the Stingray cellphone tracker, used by state and local law enforcement agencies. The Stingray mimics cellphone towers and forces cellphones within range – including those of bystanders – to disclose their numeric identifiers. Moreno says the app goes further than even the Stingray. Although a Stingray captures a cellphone’s numeric identifiers, it does not capture personal information. But the BART app captures both types of information and links them together, allowing BART to identify cellphones’ owners and record their location, according to the complaint. BART spokeswoman Alicia Trost denied Moreno’s allegations in an emailed statement. Trost said the app obtains a user’s location only when the user reports an incident, and only if the user chooses to share it. But Moreno claims the BART Watch app begins collecting personal information from a user’s phone during initial setup, bundling a cellphone’s numeric identifier with a user’s optional contact information and information about a phone’s battery levels. Together, the data create a “fingerprint” that can identify and track a user, she says. “Worse, should a transit user submit an ‘anonymous’ tip, defendants still collect and transmit to their servers identifying information. As such, these reports are not anonymous at all,” the complaint states. Moreno claims BART’s failure to warn users that it collects their information and to obtain consent before collecting it violates California’s Cellular Communications Interception Act, its Consumer Legal Remedies Act and the California Constitution. But Trost said in a statement that “there is a user agreement that is clear,” which can be found “in multiple areas,” including on the BART website. Moreno wants a judge to prohibit BART and Elerts from collecting passengers’ cellular numerical identifiers and locations, and order them to destroy the identifying information they have and disclose who else has access to the information. She is represented by Nina Eisenberg with Edelson PC in San Francisco, who did not return a request for comment Monday.